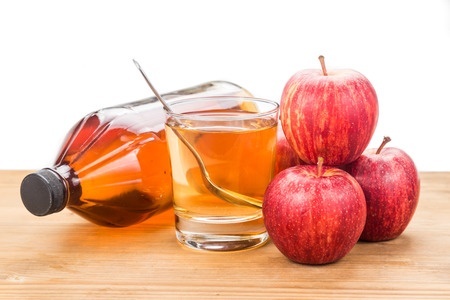 Self Cure Remedy details of Take apple cider vinegar for the care and relief of Diabetes, including effectiveness and popularity scores of the remedy. Apple cider vinegar boosts body's immune system and promotes alkalinity and PH balance of the body. Add 1 to 2 tablespoons of apple cider vinegar in a large glass of water. Drink it before meals and before going to bed. The self cure remedy of Take apple cider vinegar for the care and relief of Diabetes has an effectiveness score of 3.3 and a popularity score of 58 on the self-cure system.